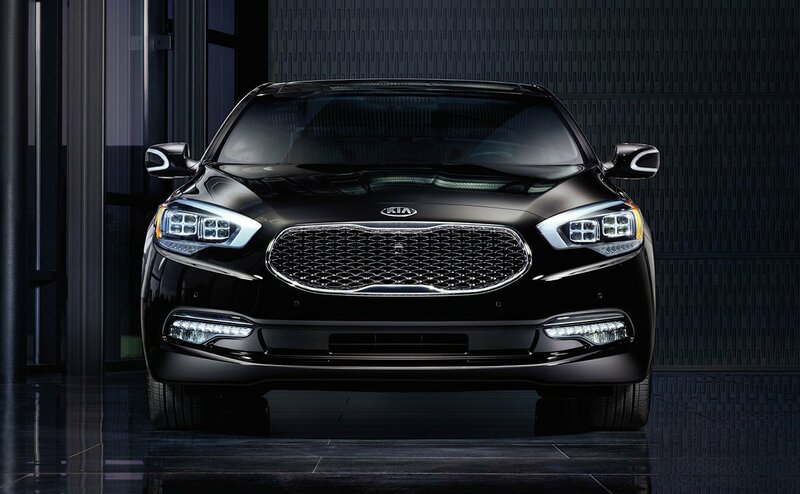 Luxury, Innovation, and Performance, brought to you courtesy of the Kia K900. Whether you’re in the drivers seat or in a passenger seat, in the front or back, comfort is a gurantee in the K900. Available premium quilted Nappa leather interior will turn heads wherever you go. The K900 comes with the best audio system a Kia has ever seen. 17-speakers, including a subwoofer and centre channel, precisely positioned and acoustically tuned for the K900’s cabin. To help keep your eyes on the road, the K900 offers you the information you need with standard Heads-Up Display (HUD) that projects information like speed, navigation route, blind-spot detection and cruise control status directly onto the windshield. The 9.2-inch multimedia interface uses speech recognition technology to provide you with control over the entire array of K900 systems and their functions. Equipped with all of Kia's safety features the K900 has some of the most advances drive assist system such as Autonomous Emergency Braking, Radar Systems, Smart Cruise, 360° camera monitoring system, and many more. The Available 420-horsepower 5.0L GDI V8 or standard 311-horsepower 3.8L GDI V6 assure that power and performance are not an issue for the K900. Experience a taste of what the epitome of luxury is at Orillia Kia today.